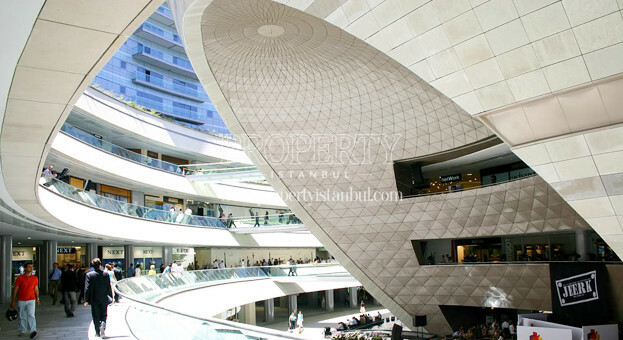 Kanyon Residence has one of the largest houses, offices, and shopping centers in Europe and it has been constructed by Project of Kanyon, Is GYO and community of Eczacibasi which is located in one of the most central points of Istanbul where Besiktas, Sisli, and Levent is intersected. One of the entrance doors is located in the output area of the underground railway. 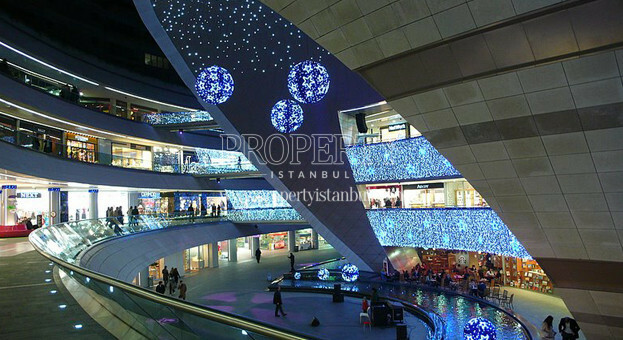 It is easy to get access to Kanyon shopping center from several places. The inner roads, surrounded by hunting terrains, which connect the buildings create an urban effect. 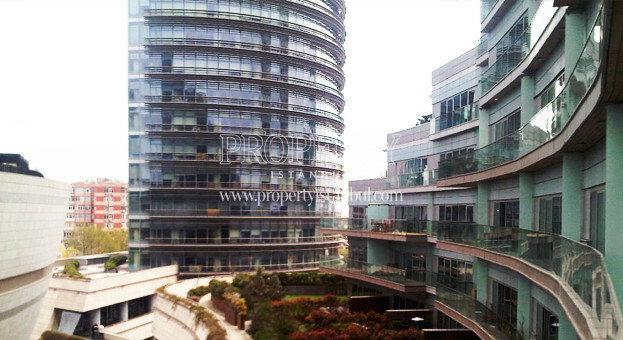 It has various house types which are balcony, terrace and garden types. It provides security standards. It combines the social life with the office life which enables people to combine social life with the working life. It gives the opportunity to do shopping in outdoors. 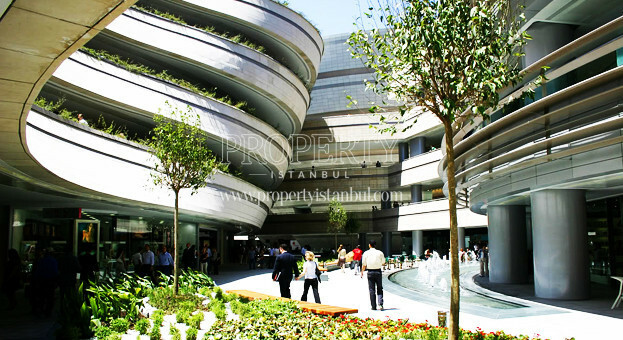 Kanyon residence consisted of 179 units, in 4 floors of the shopping center, in 26 floors and 1 unit office block. 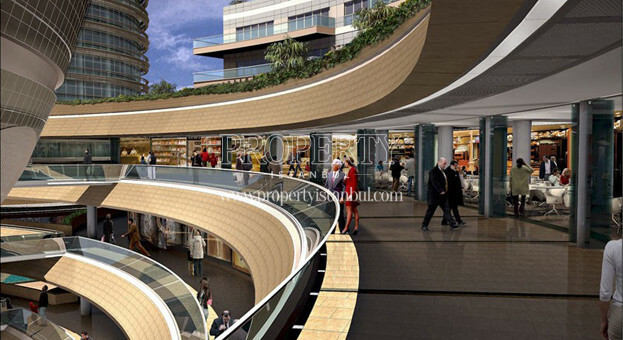 It is placed on 30.000 sqm area. The size of the houses changes between 80m2- 360m2. It is used Intema Kitchen products which are bound to Eczacibasi Group. On the other hand, for the encastered part, it is used Simens brand electronic tools. 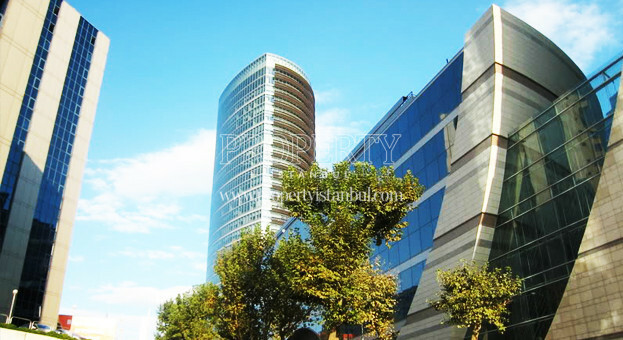 The project of Kanyon Residence has an elevator which is delicate for fire. There are also air condition, generator, lamps, telephone, television, internet, ventilation, 24 hours of hot water, disinfected water, noise insulation material for the internal wall and outer wall, noise-free installation tube. 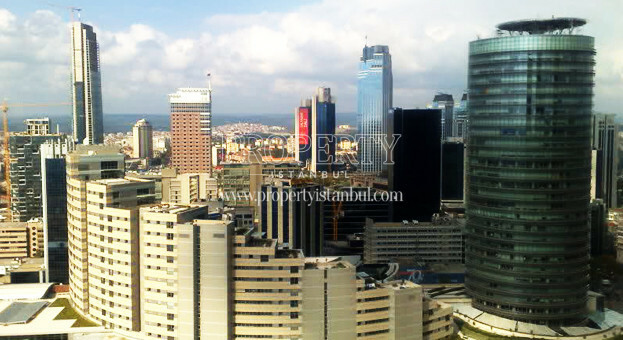 There are also parking garage( a car for each apartments ) in the social domain, 24 hour security and closed circuit camera system, swimming pool and kiddy pool, Turkish bathhouse, sauna, fitness center, sweat room, massage room, shower, children playground, internet, central satellite system, steel doors with fingerprint reader.